SSD drive not recognised by BIOS & Windows 7/8.1/10 install - PC Buyer Beware! SSD drive not recognised: My self-built desktop PC boots Windows 10 from a standard SATA hard disk drive. An OCZ (SATA) SSD drive (Agility 3 120GB SATA 3.0) came my way, so I decided to use it to boot Win10 much faster and use the hard drive for data storage. PC’s motherboard: EVGA X58 SLI3. I installed the SSD in the case. Installing Windows 10 went as it should until I had to select a drive to install to. Unfortunately, the SSD did not show up. I switched both the SSD’s SATA power and data cables several times. The SSD still did not show up. It was also not recognised by the system BIOS. The EVGA X58 SLI3 motherboard uses a standard legacy BIOS, not a new UEFI BIOS. 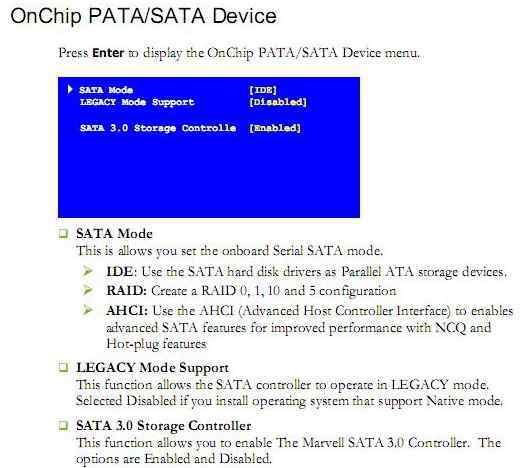 Note that both current hard disk drives and SSD drives use the SATA connection interface. 1. – Ensure that the AHCI setting in the BIOS is enabled. TRIM support, used by an SSD, requires AHCI enabled. The image below shows an extract from the EVGA’s motherboard manual showing the setting in the BIOS. 2. – There are six SATA 2.0 (3Gbit/sec) and two SATA 3 connectors (6Gbit/sec) on an EVGA X58 SLI3 motherboard. First connect the SSD using the same SATA connector that the hard disk drive used. No result, try using all of the SATA 2.0 connectors and SATA 3.0 connectors, starting with the SATA 2.0 (3Gbit/sec) connectors. 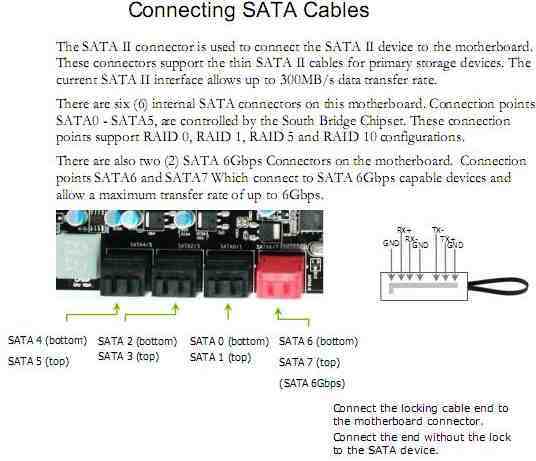 The SATA 3.0 connectors might not have BIOS or driver support, which would make them unusable until that support is provided by BIOS and/or driver updates. 3. – Updating the BIOS might be required to boot the system and recognise the SSD from the SATA 3.0 (6Gbit/sec) connectors. The user manual for the EVGA X58 SLI3 motherboard (link provided below) provides information on the BIOS and how to reflash it. You can also obtain the latest motherboard device drivers at that website, including the drivers for the motherboard’s SATA 3 Marvell Controller. Note that the BIOS should not be updated unless there is no other way of getting a component (e.g., processor) or (SATA or USB) device to work. If a BIOS reflashing (updating) fails, the whole motherboard can be put out of action – permanently. It is possible to get a botched BIOS reflashing fixed by the motherboard manufacturer, but it is prohibitively expensive. 4. – The SSD itself could be faulty. Try reinstalling the standard hard disk drive and start up. Does Windows 10 show the SSD in Computer or in Disk Management? Press the Windows key plus the R key to bring up the Run box (all versions of Windows). Enter diskmgmt.msc to bring it up. If the SSD is not there, if you have access to one, try installing it in another PC. If it doesn’t work, it is faulty. The EVGA X58 SLI3 motherboard’s Marvell SATA 3 Controller is unlikely to be defective because your working SATA hard disk drive works from it. In order to be able to use an SATA 3.0 port, he should then have updated the motherboard’s device drivers obtained from http://www.evga.com/support/download/. If doing that fails, I would not try updating the BIOS and just keep using an SATA 2.0 port. Some SATA 2.0 cables are supposed to be higher quality and are marketed as SATA 3.0, but there is no electrical difference between them. 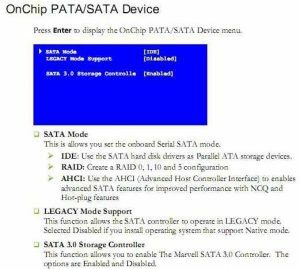 Moreover, most of the activity of Windows consists of small reads and writes, so there is little in the way of a marked performance gain between SATA 2.0 and SATA 3.0. October 15, 2016 in Hard Disk and SSD Drive Problems, PC Problems and Solutions.